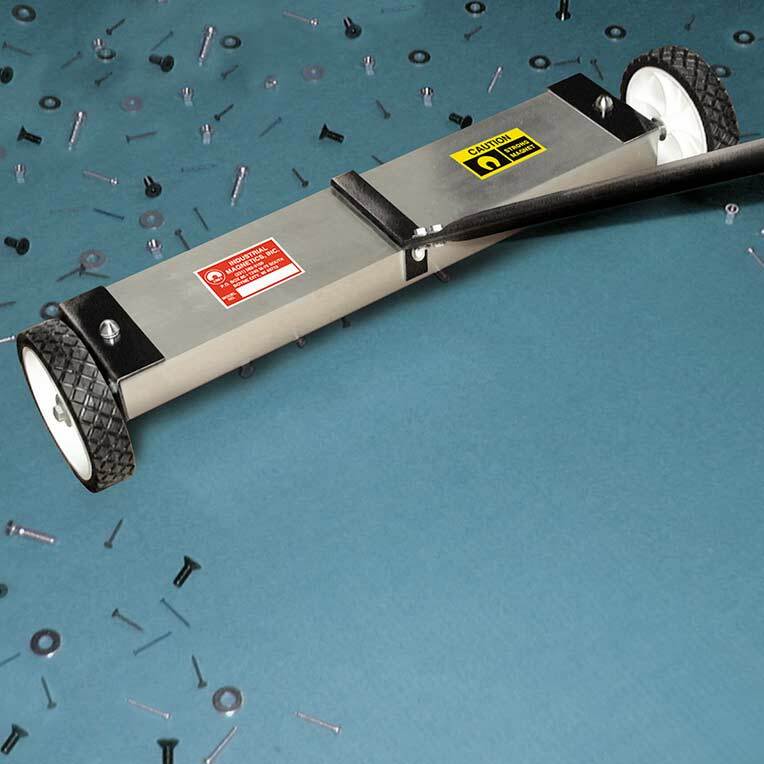 Reduce costly tire damage and prevent injury with this powerful magnetic sweeper. Use indoors or outdoors for fast, easy pickup of nails, screws or other ferrous metal pieces from floors, parking lots and construction sites. 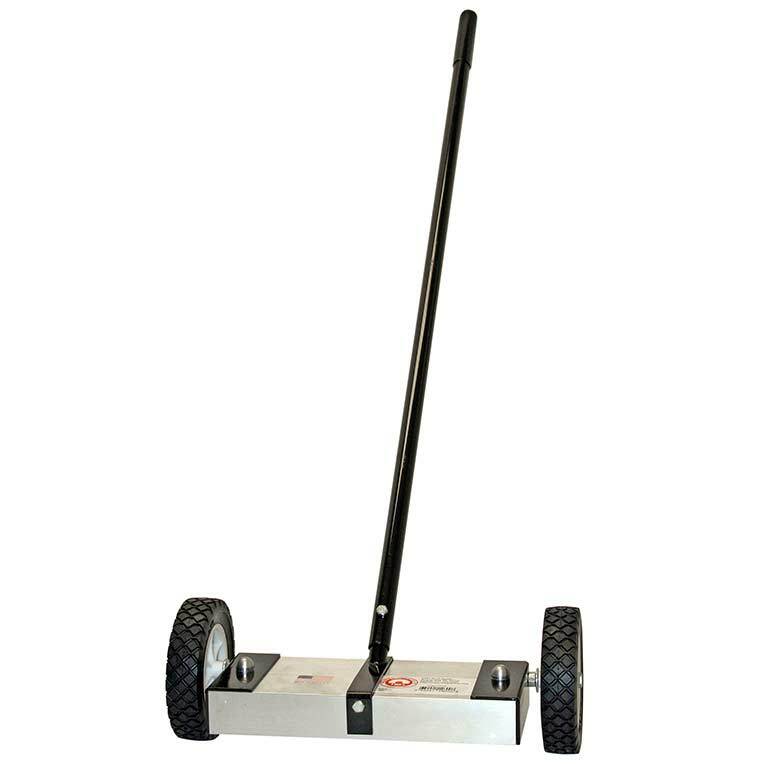 The 2 inch ground clearance and 6 inch diameter wheels allow for usage on flat, grassy areas. May also be used in wet/damp areas, but is not submersible in water. If needed, handle may be removed for storage or transportation. 2 inch ground clearance is great for yards, driveways, floors, etc. To remove collected metal from the magnetic sweeper, use a shop rag or gloved hand to clean metal from the magnet face. For our "easy-clean" version of this product, visit our Clean Sweep page to view the demonstration video.